Written by Gabriella Cilmi, Miranda Cooper, Brian Higgins, Tim Powell, Bob Bradley, Bob Stanley & Pete Wiggs. Keyboards & Programming: Tim Powell, Brian Higgins, Saint Etienne & Miranda Cooper. Guitars: Nick Coler & Bob Bradley. 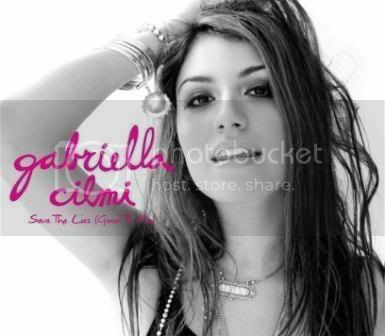 "Save the Lies" was Gabriella Cilmi's second European single, released on August 18th 2008. The song was co-written by Bob Stanley and Pete Wiggs from Saint Etienne. In an interview with the Times, Miranda Cooper described the song as having a "1970s, Rod Stewart strut to it". x Save the Lies just blows you away, showing a maturity in her voice that demands your attention, with the additional appeal of the unbridled youthful enthusiasm of a 16 year old. x Saturated in Eighties trademarks - worst of all the horrible keyboard, splatting out the track's jazzy melody - Brian Higgins and Miranda Cooper's composition is assembled from a song sheet that had already gone out of fashion before Cilmi was born. Anastacia (to whom Cilmi bears astonishing similarities, most notably in her contralto voice and noisy growl) gave this commercial soul sound a rebirth in 2000, but otherwise it's been shamefully buried in a big pit full of bat-wing jumpers and Fergie bows. Plundering the Eighties, though, is the bedrock of manufactured pop these days and, with the writers behind Girls Aloud and The Sugababes behind her, Cilmi is sure to tread this path for a while. x This song is catchy enough, with words flying at a thousand miles a minute without any sign of coming to a halt, but it is pretty weak overall. You need fans humming the tune and reciting the words to get it into the charts. x After wriggling its way up the charts with a lot of help from a deodorant ad, it looked likely to be a one-off smash for the 16-year-old Aussie. But, against the odds, her follow-up single is just as appealing.